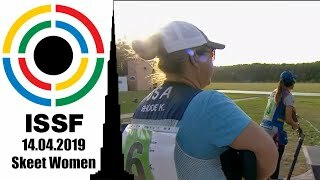 Despite missing three of his last five targets, the young Australian shooter finished atop the Trap Men Junior podium, preceding silver medalist Logan Joseph Lucas of the United States of America and bronze medalist Lorenzo Ferrari of Italy. 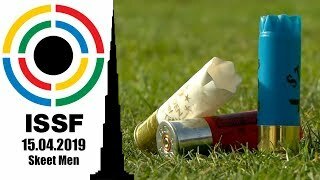 After struggling in his first three rounds, 18-year-old Lorenzo Ferrari of Italy shattered 18 consecutive targets, climbing up to the 3rd place and winning bronze in his first World Championship participation. 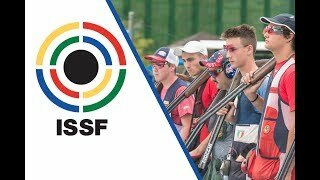 The Italian first-timer was followed by Portugal’s 18-year-old Manuel Vieira Da Silva — who crushed 27 out of 35 clays in first final match appearance and signed off in 4th position — and by Turkey’s 19-year-old Murat Ilbilgi: the 2018 Junior European Champion slid down the standings during an unfortunate round that saw him miss 3 of his 5 targets, eventually finishing 5th with 19 crushed clays out of 30. The first shooter who left the match was India’s Ali Aman Elahi, who only hit 10 of his 20 targets and finished in 6th position. On the highest step of the team podium Australia claimed the gold medal with 348 total hits, while India signed the exact same score, but took 2nd place because of the count-back rule. Italy placed 3rd and won bronze with 346 hits. 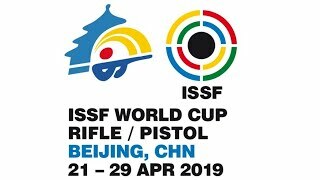 The ISSF World Championship in Changwon (KOR) will continue tomorrow with four more finals: the 50m Rifle 3 Positions Men, scheduled at 12:15 pm (UTC+9:00), the 10m Air Rifle Men Junior, taking place at 2:00 pm, the 10m Air Rifle Women Junior, taking place at 3:45 pm, and the Trap Mixed Team, which will close the competition day at 5:00 pm.